You are at:Home»Park Briefs»Will ASTM Remove the Non-Commercial Exclusion From Standard F2959-16? The ASTM F24 Committee is balloting a proposed revision to the F2959-16 “Standard Practice for Aerial Adventure Courses” that would remove the exclusion for traditional non-commercial operations, and give authorities having jurisdiction (AHJs) the option of applying the standard to any aerial adventure course operator. The Association for Challenge Course Technology (ACCT) alerted members to the proposed revision late last week, and will prepare a response by next week, according to executive director Shawn Tierney. At present, ASTM F2959 section 1.3 excludes “aerial adventure courses when operated exclusively under the following applications:” educational curriculum, physical fitness purposes, organized competitive events, therapeutic programs, training purposes, team- and confidence-building, and playground equipment covered by Consumer Safety Performance Specification F1487. In support of the change, the notice states that the current standard applies to aerial adventure courses “when operated for concession or commercial recreation,” a definition that frequently applies to operations listed among the exclusions. The proposed change would eliminate the ambiguity. Further, the notice observes that both the PRCA ANSI standard and the ACCT/ANSI standard apply to all aerial adventure operations, including those that are excluded in the current ASTM standard. “ASTM F24 needs to give the authorities having jurisdictional oversight of aerial adventure courses the freedom to ensure public safety by allowing them the opportunity to locally determine which attractions need to be regulated and which attractions must follow known public safety standards,” said Jeff Borba, leader of the F2974 auditing/inspection standard and of the Evolution Task Group (ETG) that proposed the revision to the F2959 Task Group. If aerial adventure operations are excluded from meeting a public safety standard simply because their owners decide “their facility meets the definition of an exclusion in a standard,” that can put “the general public at unknown risk, and this needs to be addressed,” Borba stated. Borba, owner of Precisioneering and a frequent aerial adventure course inspector, pointed out that AHJs have always had the option to adopt portions of a standard, such as ASTM F2959, and to exclude other portions, such as section 1.3. But the proposed changes, by removing the exclusions entirely, would allow AHJs to more easily make their own decisions on which types of operations to include or exclude—if any—from their regulations. Further, he noted that the ETG and ASTM F747 Terminology committee are currently looking into defining “non-commercial” and/or “pay-for-play,” as these are not well-defined terms. The ETG was set up following a structural failure on an amusement ride that led to a fatality at the Ohio State Fair in July 2017. The ETG was charged with exploring improvements and additions to existing F24 standards—such as the one regarding the failed amusement ride—including other standards that members wished to review, such as F2959 for aerial adventure courses. The decision to consider deleting section 1.3 of F2959 standard was made at the F24 Committee meetings in New Orleans, La., last February. At the meetings, only two objections were voiced and so the ASTM consensus process began. “F24’s number one priority is safety. If ACCT and PRCA can have their standards be applied to the exclusions within section 1.3, I see no reason why ASTM can’t be included. The task group has no intent to shut anyone down with the proposed revisions,” Borba said. Being forced to shut down, however, is a concern expressed by some operators whose businesses are excluded from the current standard, and who worry that meeting the requirements of the F2959 standard could prove prohibitively costly. To that point, Borba noted, the reference inspection standard within F2959 and adopted by many AHJ’s is ASTM F2974, “Standard Practice for Auditing Amusement Rides and Devices,” which does not require recurring design, manufacturing, installation, commissioning, or major modification audits/inspections, and is not applicable for rides built prior to the passing of the revised standard. Further, “ASTM F2959 and ETG encourage all stakeholders who are concerned with specific sections of the standards that are causing undue hardships to bring them to the attention of the task groups so they can be addressed,” he said. So there is both time and means for ACCT and ASTM members to shape the final revisions. Already, Borba noted, the exclusion for the CPSC rule regarding playgrounds will likely remain in place, as the CPSC’s rule supersedes ASTM F24 standards. If the industry puts forth persuasive objections as determined by a consensus vote, the change to Section 1.3’s exclusions could be modified further. 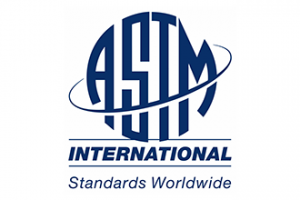 The current balloting period runs through Aug. 13, giving ASTM members time to vote and/or comment on the proposed revision. Further, anyone interested in participating in the upcoming ASTM F2959 task group meetings during the F24 Committee meeting Oct. 10-13 in San Diego, Calif., is welcome to do so. There is no fee to attend ASTM meetings and membership is not required. For more information visit www.astm.org and search for F24, or contact Katerina Koperna at kkoperna@astm.org.